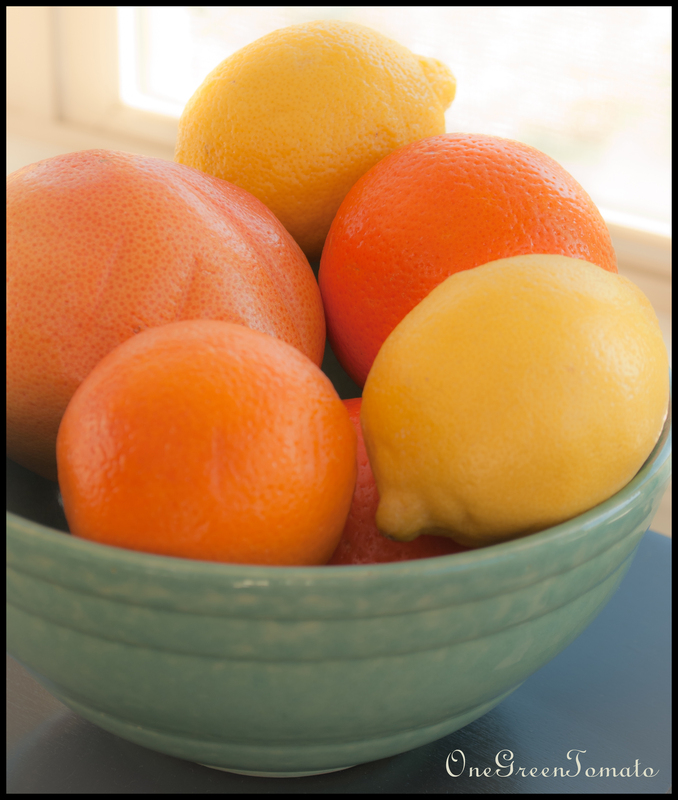 I love the bright, vibrant flavor of fresh citrus; a true spirit lifter when the doldrums of winter creep in. 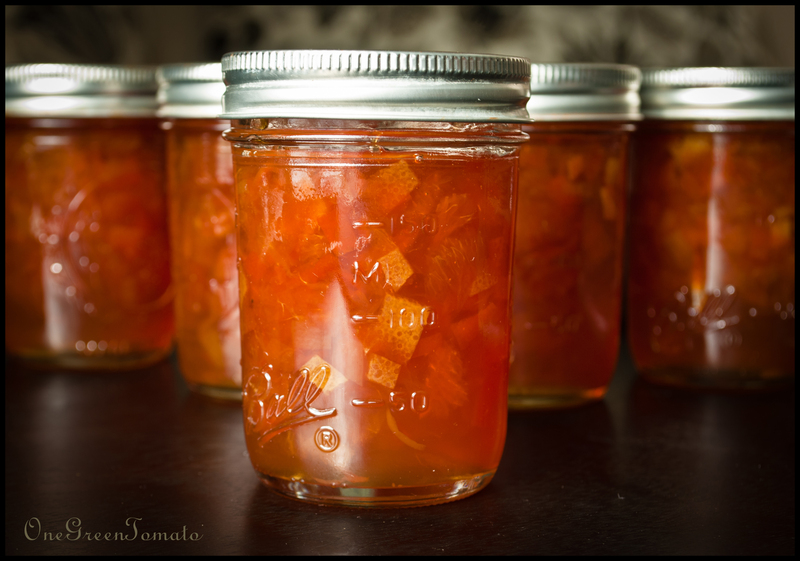 Wanting to maximize the season, I put up several recipes this year including a double batch of this favorite from last year’s citrus season. But the end is coming near and this is so bitter-sweet, just like taste of this delicious multifruit marmalade. 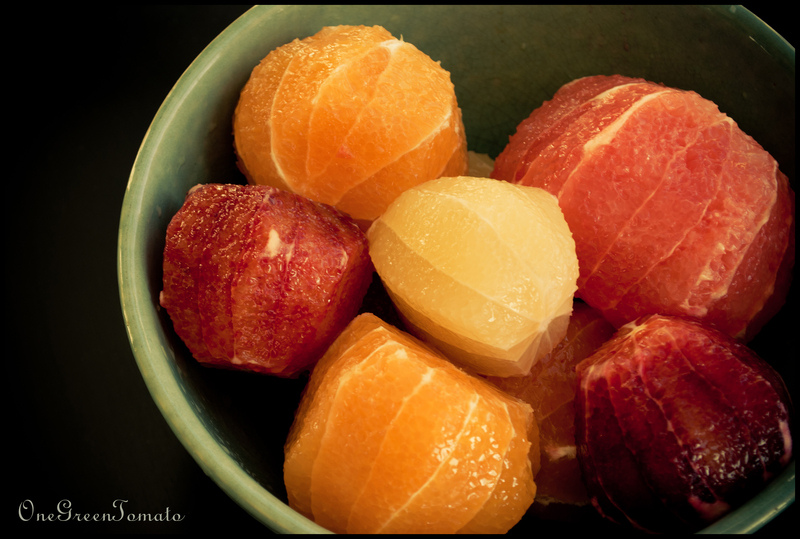 4 lbs assorted citrus fruit: I selected 2 lemons, 1 pink grapefruit, 2 tangelos, and 3 blood oranges. Wash the fruit in warm, soapy water and pat dry. Remove the zest from the fruit with a serrated-edge peeler. Be careful to not remove too much pith or your marm will end up bitter. 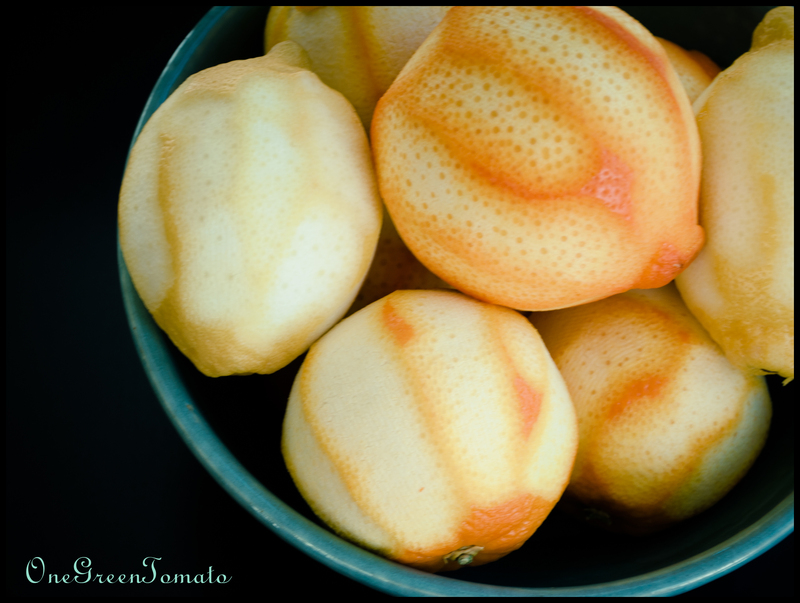 Stack the zest peels and chop into small pieces; in a large pot combine zest and 2 qts of water. Bring to a boil, reduce heat to medium-high, and simmer for 25-30 minutes. Supreme fruit by cutting away the pith, and then segment to remove from membranes. Be sure to do this over a large bowl so you can collect the juice. Remove seeds and set aside. Bundle seeds in cheesecloth and securely tie the ends so they cannot escape. Drain zest in a fine-mesh sieve and reserve the cooking liquid. Combine zest, segmented citrus and juice, 4 cups of the cooking liquid, sugar, and bundled seeds. Bring to a hard boil and cook until the mixture reaches 220°F, approximately 35-40 minutes. Be sure to stir regularly to prevent contents from scorching. Once the marmalade has reached your desired set, turn off the heat and remove the cheesecloth bundle. Ladle into hot, sterilized pint jars, wipe rims, and adjust two-piece lids. Process in a boiling-water bath for 10 minutes. Remove jars from canner and allow to cool on a wire rack, undisturbed, for 12-24 hours so seals may properly set. Images and content copyright © 2013 Danielle R Limoge. Recipe adapted from Food in Jars by Marisa McClellan. Makes my mouth water! Thanks for sharing 🙂 Beautiful pics. Thank you for the picture love, it’s much appreciated! Thanks for reading!